I’m already breaking my own rules. This recipe definitely qualifies as a 20% item (which I’ve already posted once this month), but with Halloween in just a couple of days, I think rule breaking is in order. This recipe (or something similar) was originally posted by Real Simple. It is a clever way to use up Halloween candy. I hope you enjoy these “pops” as much as my family. In a double boiler, melt down the chocolate. I melted down 10 mini Hersey’s bars. While chocolate is melting, chop up the additional candies. 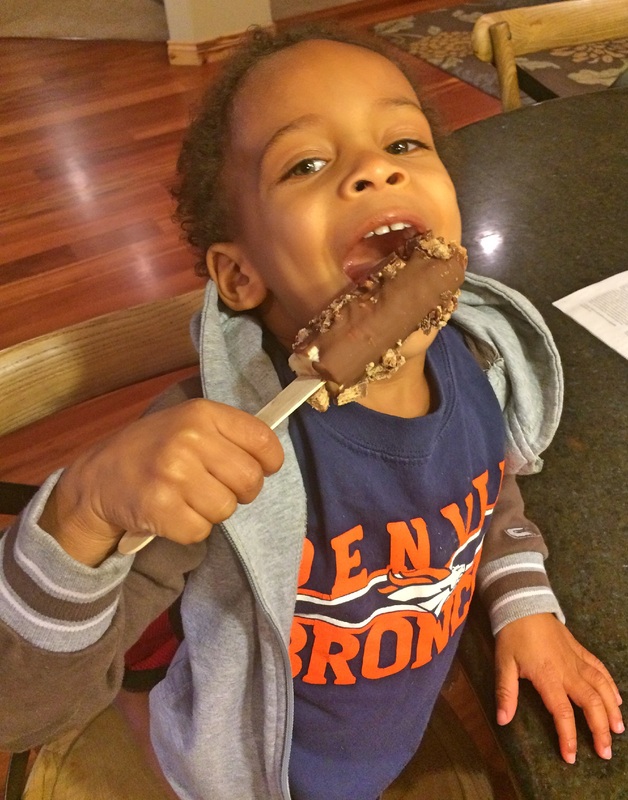 We used mini Reece’s Peanut Butter Cups, Kit Kat Bars, and Almond Joy Bars. 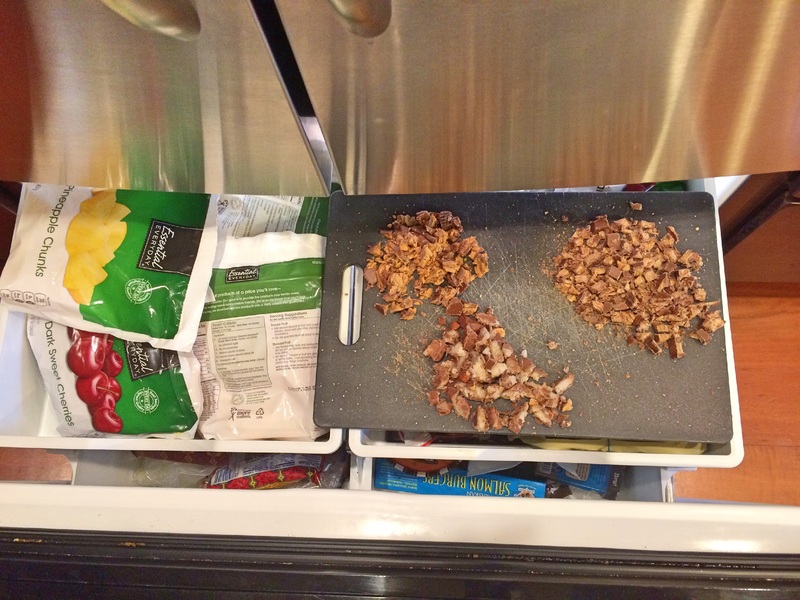 Place the cutting board with chopped candy in the freezer. This will make the candy easier to stick to the pops. Add 1tbs coconut oil to the melting chocolate and incorporate. 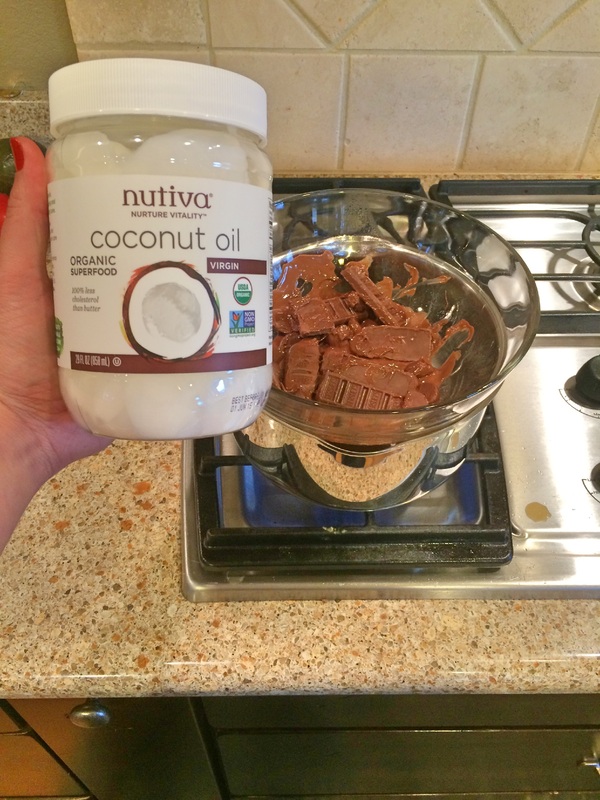 The coconut oil helps the chocolate set up quickly when it cools. Slice bananas in half and place each half on a popsicle stick. 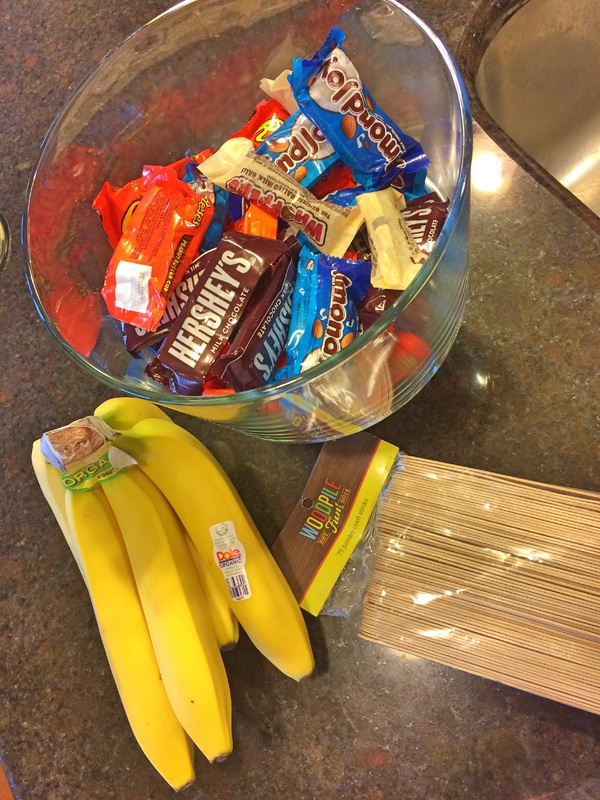 Remove candy from freezer and place it near your double boiler. Dip each banana into melted chocolate one at a time and sprinkle chopped candy pieces on to each chocolate covered banana. Place on a wax paper-covered cookie sheet and freeze for 20 minutes. Enjoy! If you’d like to keep them for longer, wrap individually and keep in the freezer for up to a week.